When Alpine Village held their first Alpine Kraft Bierfest in the big tent back in 2012 they had almost as many beers as they did attendees. I suspect it had something to do with the timing in that it was held the week before Oktoberfest, so some people may have just thought the ads were for Oktoberfest rather than the American craft beer event it was intended to be. 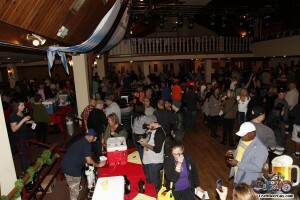 In 2013, the 2nd Annual Alpine Kraft Bierfest was moved into the Alpine Inn, more breweries and beers were added, a little more advertising was done and the attendance level more than doubled. 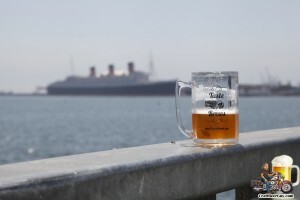 On Saturday afternoon, about 3,000 people gathered at Lighthouse Park in Long Beach to sample beers brewed by more than 50 different breweries while enjoying the great weather, live music and foods provided by local restaurants Stonefire Grill, Slater’s 50/50 and Bubba Gump Shrimp Company and several food trucks. 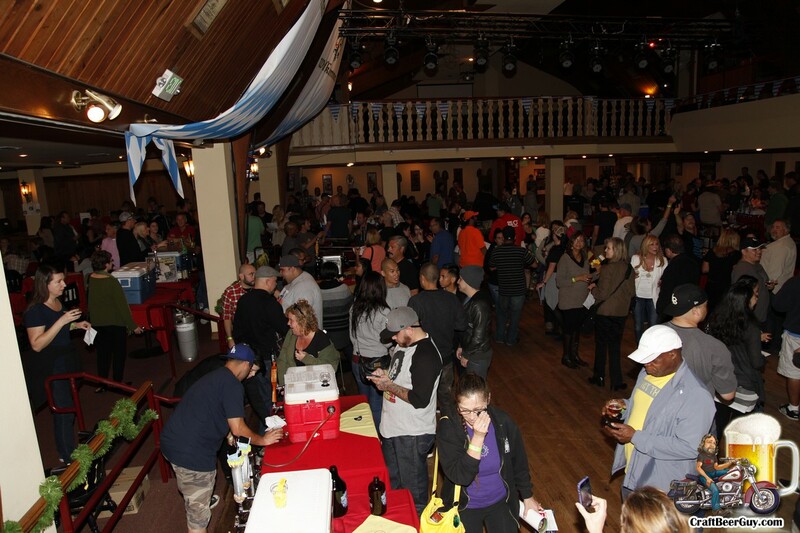 A portion of the proceeds from this year’s Taste of Brews went to the Long Beach Marine Institute and the 1st Marine Division out of Camp Pendleton. Over the past few years I have had the privilege of attending quite a few craft beer festivals; they may range in size from less than 100 to close to 1,000. Some were held in parking lots, others on movie sound stages. I have attended events that specialized in American craft beers or European craft beers or even more specifically barrel-aged and sours. The point being that I have been to many beer fests at a wide variety of venues with many styles of beer featured. While most of these festivals have had one thing or another going for them, be it venue or featured beers, there is one beer festival that stands out for me and that would be last year’s Taste of Brews Long Beach. There is a good reason why that event stands out and that is because it had everything going for it. 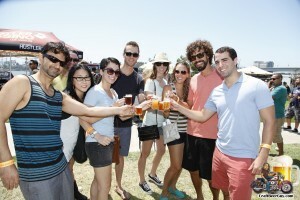 They had over 40 craft breweries, some wine vendors, live music, good food, fun people and it was at the beach! Held at Lighthouse Park in Long Beach, across the channel from the Queen Mary it really was the most perfect location for any festival of any type that I can recall attending. Beautiful weather with cooling ocean breezes and a wide selection of American craft beer; what more could one ask for? How about more beer and a discount? On August 23, 2014, Taste of Brews returns to Lighthouse Park for the 4th Annual Taste of Brews Long Beach. If you thought 40 craft breweries was good, you are going to love it this year with about 50 craft breweries participating. When I looked through the list of participating breweries compared to last year I noticed that many perennial favorites such as Stone Brewing Company, Beachwood BBQ & Brewing Lagunitas, Strand Brewing and Sierra Nevada Brewing will be returning; but we will also be joined by such powerhouses as Ballast Point, Pizza Port, Clownshoes and Coronado Brewing along with some of Southern California’s newest craft breweries like Absolution Brewing Company and Venice Duck Brewery.